In case you are not familiar with the calls to action, I’ve included a few of them at the end of the article so you can see for yourself the common elements required for reconciliation. Almost as soon as the TRC published its report and calls to action, requests for our courses increased exponentially. Why? Because the material we cover meets those elements of reconciliation. Providing training on Indigenous relations is not something we do off the corner of our desk. Since the publication of the calls to action, we’ve seen many firms and individuals hang out their shingles as trainers, and that’s ok. We don’t mind competition. However, what we do worry about is the quality of training provided. As this country moves along the reconciliation continuum, it’s critical that those who are providing Indigenous relations training do not play the blame game. Blame and guilt have no place in reconciliation. Some trainers we have talked to have strong ideas about how to present materials. They use techniques such as, “they have to be led into a place and then taken out.” Some of the subject matter is of a sensitive nature and requires experience and skills to ensure everyone has a safe and enriching learning experience. Some learners have questions they want to ask but are concerned about how the question portrays them to their colleagues or other participants. That's when your selection of a trainer becomes important. You don’t want to find yourself in a situation that’s uncomfortable nor do you want to look bad or feel embarrassed by asking questions. Be sure to explore the safe environment aspect with whomever you select. It’s also important that the trainers have a deep and grounded knowledge of the history of Indigenous Peoples in Canada, in the history and ongoing impacts of residential schools and how those impacts affect Indigenous relations today. For example, in our awareness training, we have trainers who have experience directly or through their families. Competent trainers must also be well versed in Aboriginal rights, what those rights are and are not, how those rights have been denied, and the court cases that have defined those rights. Judging from the increasing demand for our training, I think we’re doing a pretty good job. But, don’t take my word for it, I’ve included some comments from our testimonial page. "This is training I wish every Canadian had access to and the will to take. It is such an important part of our nation’s history and culture. Understanding the history and culture of Canada's indigenous people is critical to moving forward towards reconciliation, both in business and as nations." K.G. "The Indigenous Awareness training I took recently was EXCELLENT! The facilitator's kind yet transparent communication of the content really helped to broaden my limited knowledge. I am passionate about Truth & Reconciliation and had some info, but was hungry for more. This workshop really opened my eyes to a little bit of the vast cultural background, nuances, and history, providing practical ways to move forward in learning more. Thank you." J. "Working Effectively with Indigenous People" was one of the very best workshops I have ever attended. It was profoundly emotional at times, but the skilled facilitator was respectful, caring and extremely knowledgeable. I could go on an on....this was remarkable. Highly recommended. Thank you for opening my eyes!" K.H. "This session would be engaging, relevant and useful for all Canadians. I would highly recommend the session especially for those working with Indigenous communities and people in any capacity, as a primer to understanding the history and context of an important relationship in our society." J.F. "Bob's understanding of the current state of consultation and engagement between government departments and Indigenous communities really helps to inform and train others on the tools we need to continually improve this evolving relationship." J. 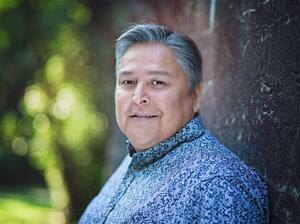 "Bob has extensive knowledge from all sides of Aboriginal relations – legal to trust & relationship building. This is a valuable & balanced approach to problem-solving! Thank you!" B. P.
Here are some of the 94 calls to action that have the common elements (in bold) of reconciliation that I mention at the beginning. If you aren’t familiar with them and what the TRC asked for, it’s worth the read. We call upon the Federation of Law Societies of Canada to ensure that lawyers receive appropriate cultural competency training, which includes the history and legacy of residential schools, the United Nations Declaration on the Rights of Indigenous Peoples, Treaties and Aboriginal rights, Indigenous law, and Aboriginal–Crown relations. This will require skills-based training in intercultural competency, conflict resolution, human rights, and anti-racism. We call upon Canadian journalism programs and media schools to require education for all students on the history of Aboriginal peoples, including the history and legacy of residential schools, the United Nations Declaration on the Rights of Indigenous Peoples, Treaties and Aboriginal rights, Indigenous law, and Aboriginal– Crown relations. Commit to meaningful consultation, building respectful relationships, and obtaining the free, prior, and informed consent of Indigenous peoples before proceeding with economic development projects. . .
iii. Provide education for management and staff on the history of Aboriginal peoples, including the history and legacy of residential schools, the United Nations Declaration on the Rights of Indigenous Peoples, Treaties and Aboriginal rights, Indigenous law, and Aboriginal–Crown relations.